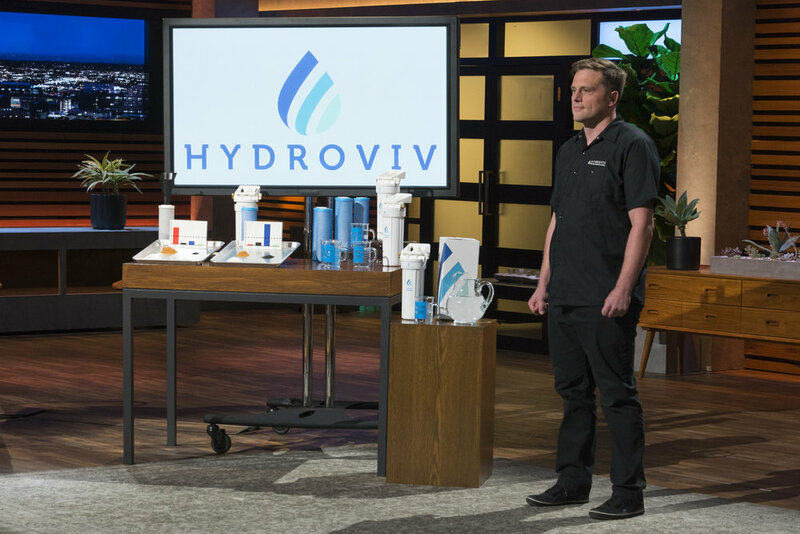 Eric Roy pitches Hydroviv on Shark Tank, image courtesy of ABC. Tune in Sunday, April 14 at 10pm to cheer on Washington Water Nerd, Eric Roy, as he pitches Hydroviv to the sharks on ABC’s hit show, Shark Tank. View a 1.5 min clip here, courtesy of ABC. Eric was inspired by the Flint Michigan crisis, to create Hydroviv with his own money in 2017. He wanted to create a water filtration system that was tailored to each city's particular water composition and contaminants. After donating more than $100,000 of product to Flint, he recognized the demand for a trusted and reliable water filter in other major city markets, and began expanding. His "water nerds," continually crawl EPA websites for the most up-to-date water quality reports, share their knowledge on Water Nerd TV, and provide custom water filters to their customers to ensure access to clean, safe drinking water. Check out the BBC story about Hydroviv’s work for more details.